Property 6: Ski In/Ski Out! 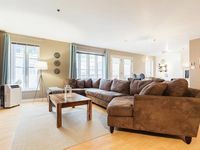 Luxury Condo close to Town Centre-Perfect for 2 couples! Property 10: Lake front with a pool and hot tub, 2Bdrm 2Bath Full Kitchen at Strand Resort. 2 Bedroom, close to village and lifts, Quiet location, Parking and Hot Tub! Property 17: 2 Bedroom, close to village and lifts, Quiet location, Parking and Hot Tub! Property 19: Simplicity at its Best! Property 31: 2 Bedroom Condo Minutes From South Health Campus And Close To Spruce Meadows! Property 33: Ship Builders Cottage Style Apartment. 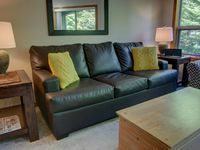 Property 41: Cozy Condo/ Panoramic Views/ Amazing Location = Incredible Vacation!!! New 2BDR 2BR Ultra modern Condo in Winnipeg's renowned... Osborne Village !! Property 42: New 2BDR 2BR Ultra modern Condo in Winnipeg's renowned... Osborne Village !! New Casa Mila Del Oro - Perfect Rental for Wine Tasting. Property 45: New Casa Mila Del Oro - Perfect Rental for Wine Tasting. Boutique mountain condo with BREATH-TAKING views in the heart of it all! Property 50: Boutique mountain condo with BREATH-TAKING views in the heart of it all! Good unit in good property at great location. Only problem, plumbing in shower not working right: can&rsquo;t adjust temperature.